Pecans are available in many forms; you'll find them vacuum-packed in jars, sealed in plastic bags, or packed in cans. For the freshest and most flavorful pecans, choose whole ones in the shell; look for nuts that are heavy for their size and don't rattle when shaken. There shouldn't be any cracks or holes in the shells. When you buy shelled pecans in bags or cans, look for an expiration date. 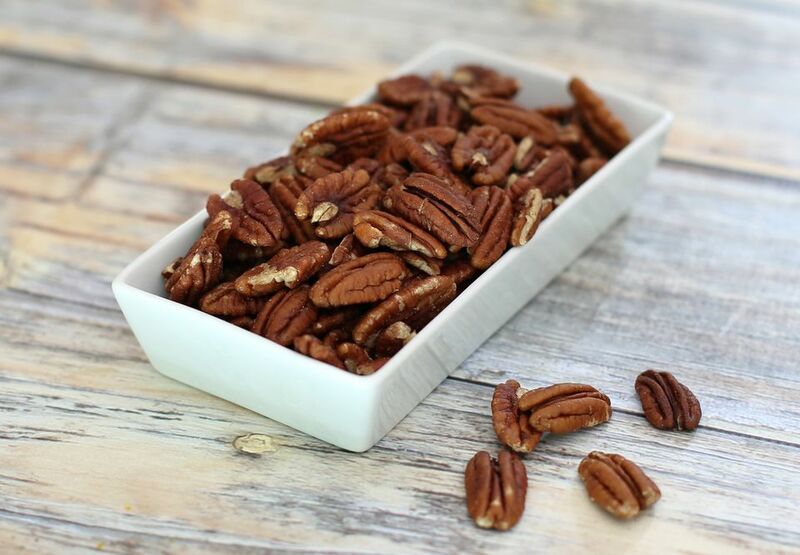 Shelled pecans absorb odors and turn rancid quickly, and should be stored in the refrigerator in a sealed container. Pecans also freeze very well, so if you buy more than you can use right away, store them in a moisture-proof plastic bag in the freezer. Unshelled pecans can be stored for about 3 months at room temperature. Even though pecans have a high fat content, they're a good source of potassium, thiamine, zinc, copper, magnesium, phosphorous, niacin, folic acid, iron, and vitamin B6, and also a good source of fiber. The fats are composed of 87% unsaturated fatty acids (62% monounsaturated and 25% polyunsaturated).